Conflict with Arius and Arianism as well as successive Roman emperors shaped Athanasius's career. In 325, at the age of 27, Athanasius began his leading role against the Arians as a deacon and assistant to Bishop Alexander of Alexandria during the First Council of Nicaea. Roman emperor Constantine the Great had convened the council in May–August 325 to address the Arian position that the Son of God, Jesus of Nazareth, is of a distinct substance from the Father. Three years after that council, Athanasius succeeded his mentor as archbishop of Alexandria. In addition to the conflict with the Arians (including powerful and influential Arian churchmen led by Eusebius of Nicomedia), he struggled against the Emperors Constantine, Constantius II, Julian the Apostate and Valens. He was known as "Athanasius Contra Mundum" (Latin for Athanasius Against the World). Nonetheless, within a few years after his death, Gregory of Nazianzus called him the "Pillar of the Church". His writings were well regarded by all Church fathers who followed, in both the West and the East, who noted their rich devotion to the Word-become-man, great pastoral concern, and profound interest in monasticism. Athanasius is counted as one of the four great Eastern Doctors of the Church in the Roman Catholic Church. In the Eastern Orthodox Church, he is labeled as the "Father of Orthodoxy". Some Protestants label him as "Father of the Canon". Athanasius is venerated as a Christian saint, whose feast day is 2 May in Western Christianity, 15 May in the Coptic Orthodox Church, and 18 January in the other Eastern Orthodox Churches. 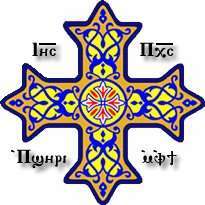 He is venerated by the Oriental and Eastern Orthodox Churches, the Roman Catholic Church, the Lutherans, and the Anglican Communion. Athanasius recounts being a student, as well as being educated by the Martyrs of the Great (tenth) and last persecution of Christianity by pagan Rome. This persecution was most severe in the East, particularly in Egypt and Palestine. Peter of Alexandria, the 17th archbishop of Alexandria, was martyred in 311 in the closing days of that persecution, and may have been one of those teachers. His successor as bishop of Alexandria, Alexander of Alexandria (312–328) was an Origenist as well as a documented mentor of Athanasius. According to Sozomen, Bishop Alexander "invited Athanasius to be his commensal and secretary. He had been well educated, and was versed in grammar and rhetoric, and had already, while still a young man, and before reaching the episcopate, given proof to those who dwelt with him of his wisdom and acumen". 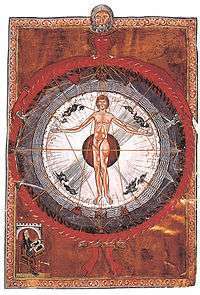 Athanasius' earliest work, Against the Heathen – On the Incarnation (written before 319), bears traces of Origenist Alexandrian thought (such as repeatedly quoting Plato and used a definition from Aristotle's Organon) but in an orthodox way. Athanasius was also familiar with the theories of various philosophical schools, and in particular with the developments of Neo-Platonism. Ultimately, Athanasius would modify the philosophical thought of the School of Alexandria away from the Origenist principles such as the "entirely allegorical interpretation of the text". Still, in later works, Athanasius quotes Homer more than once (Hist. Ar. 68, Orat. iv. 29). In his letter to Emperor Constantius, he presents a defense of himself bearing unmistakable traces of a study of Demosthenes de Corona. In about 319, when Athanasius was a deacon, a presbyter named Arius came into a direct conflict with Alexander of Alexandria. It appears that Arius reproached Alexander for what he felt were misguided or heretical teachings being taught by the bishop. Arius' theological views appear to have been firmly rooted in Alexandrian Christianity, and his Christological views were certainly not radical at all. He embraced a subordinationist Christology which taught that Christ was the divine Son (Logos) of God, made, not begotten, heavily influenced by Alexandrian thinkers like Origen, and which was a common Christological view in Alexandria at the time. 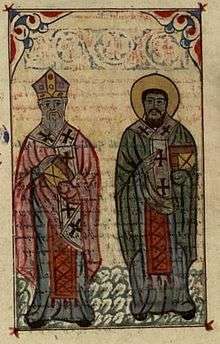 Support for Arius from powerful bishops like Eusebius of Caesarea and Eusebius of Nicomedia, further illustrate how Arius's subordinationist Christology was shared by other Christians in the Empire. Arius was subsequently excommunicated by Alexander, and he would begin to elicit the support of many bishops who agreed with his position. T. Gilmartin, (Professor of History, Maynooth, 1890), writes in Church History, Vol. 1, Ch XVII: On the death of Alexander, five months after the termination of the Council of Nicaea, Athanasius was unanimously elected to fill the vacant see. He was most unwilling to accept the dignity, for he clearly foresaw the difficulties in which it would involve him. The clergy and people were determined to have him as their bishop, Patriarch of Alexandria, and refused to accept any excuses. He at length consented to accept a responsibility that he sought in vain to escape, and was consecrated in 326, when he was about thirty years of age. Athanasius' episcopate began on 9 May 328 as the Alexandrian Council elected Athanasius to succeed the aged Alexander. That council also denounced various heresies and schisms, many of which continued to preoccupy his 45-year-long episcopate (c. 8 June 328 – 2 May 373). Patriarch Athanasius spent over 17 years in five exiles ordered by four different Roman Emperors, not counting approximately six more incidents in which Athanasius fled Alexandria to escape people seeking to take his life. This gave rise to the expression "Athanasius contra mundum" or "Athanasius against the world". However, during his first years as bishop, Athanasius visited the churches of his territory, which at that time included all of Egypt and Libya. He established contacts with the hermits and monks of the desert, including Pachomius, which proved very valuable to him over the years. Shortly thereafter, Athanasius became occupied with the theological disputes against Arians within the Byzantine Empire that would occupy much of his life. Early in the year 343 we find Athanasius had travelled, via Rome, from Alexandria, North Africa, to Gaul; nowadays Belgium / Holland and surrounding areas, where Hosius of Cordoba was Bishop, the great champion of orthodoxy in the West. Together they set out for Sardica, Sofia. A full Council of the Church was convened / summoned there in deference to the Roman pontiff's wishes. The travel was a mammoth task in itself. At this great gathering of prelates, leaders of the Church, the case of Athanasius was taken up once more, that is, Athanasius was formally questioned over misdemeanours and even murder, (a man called Arsenius and using his body for magic, – an absurd charge. They even produced Arsenius' severed hand.). [The Council was convoked for the purpose of inquiring into the charges against Athanasius and other bishops, on account of which they were deposed from their sees by the Semi-Arian Synod of Antioch (341), and went into exile. It was called according to Socrates, (E. H. ii. 20) by the two Emperors, Constans and Constantius; but, according to Baronius by Pope Julius (337–352), (Ad an. 343). One hundred and seventy six attended. Eusebian bishops objected to the admission of Athanasius and other deposed bishops to the Council, except as accused persons to answer the charges brought against them. Their objections were overridden by the orthodox bishops, about a hundred were orthodox, who were the majority. The Eusebians, seeing they had no chance of having their views carried, retired to Philoppopolis in Thrace, Philippopolis (Thracia), where they held an opposition council, under the presidency of the Patriarch of Antioch, and confirmed the decrees of the Synod of Antioch. ]. Once more, at the Council of Sardica, was his innocence reaffirmed. Two conciliar letters were prepared, one to the clergy and faithful of Alexandria, the other to the bishops of Egypt and Libya, in which the will of the Council was made known. Meanwhile, the Eusebian party had gone to Philippopolis, where they issued an anathema against Athanasius and his supporters. The persecution against the orthodox party broke out with renewed vigour, and Constantius was induced to prepare drastic measures against Athanasius and the priests who were devoted to him. Orders were given that if the Saint attempt to re-enter his see, he should be put to death. Athanasius, accordingly, withdrew from Sardica to Naissus in Mysia, where he celebrated the Easter festival of the year 344. It was Hosius who presided over the Council of Sardica, as he did for the First Council of Nicaea, which like the 341 synod, found Athanasius innocent. &. He celebrated his last Easter in exile in Aquileia in April 345, received by bishop Fortunatianus. 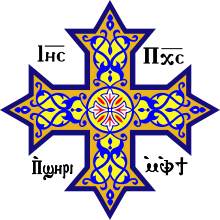 Eastern Bishop Gregory of Cappadocia had died, probably of violence in June of 345. He, an Arian bishop, took over the See of Alexandria. The emissary to the Emperor Constantius sent by the bishops of the Sardica Council to report the finding of the Council, met at first with most insulting treatment, now received a favourable hearing. Constantius was forced to reconsider his decision, owing to a threatening letter from his brother Constans and the uncertain conditions of affairs on the Persian border, and he accordingly made up his mind to yield. But three separate letters were needed to overcome the natural hesitation of Athanasius. He passed rapidly from Aquileia to Treves, from Treves to Rome and from Rome by way of the northern route to Adrianople, Edirne, and Antioch, Ankara, where he met Constantius. He was accorded a gracious interview by the Emperor, and sent back to his See in triumph, where he began his memorable ten years of peace, which lasted to the third exile, 356. Pope Julius had died in April, 352, and was succeeded by Liberius. For two years Liberius had been favourable to the cause of Athanasius; but driven at last into exile, he was induced to sign an ambiguous formula, from which the great Nicene text, the "homoousion", had been studiously omitted. In 355 a council was held at Milan, where in spite of the vigorous opposition of a handful of loyal prelates among the Western bishops, a fourth condemnation of Athanasius was announced to the world. With his friends scattered, the saintly Hosius in exile, and Pope Liberius denounced as acquiescing in Arian formularies, Athanasius could hardly hope to escape. On the night of 8 February 356, while engaged in services in the Church of St. Thomas, a band of armed men burst in to secure his arrest. It was the beginning of his third exile. Constantius, ordered Liberius into exile in 356 giving him, then, three days to comply. He was ordered into banishment to Beroea, in Thrace. He sent expensive presents, too, if he were to accept the Arian position but were refused. He sent him, indeed, five hundred pieces of gold "to bear his charges" but Liberius refused them, saying, he might bestow them on his flatters; as he did also a like present from the empress, bidding the messenger learn to believe in Christ, and not to persecute the Church of God. Attempts were made to leave the presents in The Church, but Liberius threw them out. Constantius hereupon sent for him under a strict guard to Milan, where, in a conference recorded by Theodoret, he boldly told Constantius that Athanasius had been acquitted at Sardica, and his enemies proved calumniators (see: "calumny") and impostors, and that it was unjust to condemn a person who could not be legally convicted of any crime. The emperor was reduced to silence on every article, but being the more out of patience, ordered him into banishment. Liberius went into exile. Constantius, after two years went to Rome to celebrate the twentieth year of his reign. The ladies joined in a petition to him that he would restore Liberius. He assented, upon condition that he should comply with the bishops, then, at court. 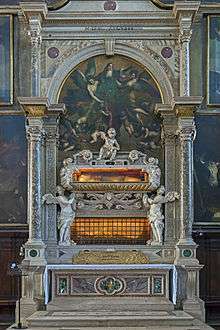 He subscribed the condemnation of Athanasius, and a confession or creed which had been framed by the Arians at Sirmium. And he no sooner had recovered his see that he declared himself for the Creed of Niceae, as Theodoret testifies. (Theodoret, Hist. lib. ii. c. 17.). The Emperor knew what he wanted people to believe. So did the bishops at his court. Athanasius stuck by the orthodox creed. Constantius was an avowed Arian, became sole ruler in 350, at the death of his brother, Constans. The Arians no longer presented an unbroken front to their orthodox opponents. The Emperor Constantius, who had been the cause of so much trouble, died 4 November 361 and was succeeded by Julian. The proclamation of the new prince's accession was the signal for a pagan outbreak against the still dominant Arian faction in Alexandria. George, the usurping Bishop, was flung into prison and murdered. An obscure presbyter of the name of Pistus was immediately chosen by the Arians to succeed him, when fresh news arrived that filled the orthodox party with hope. An edict had been put forth by Julian permitting the exiled bishops of the "Galileans" to return to their "towns and provinces". 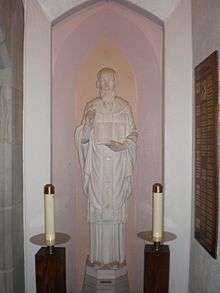 Athanasius received a summons from his own flock, and he accordingly re-entered his episcopal capitol on 22 February 362. In 362, the new Emperor Julian, noted for his opposition to Christianity, ordered Athanasius to leave Alexandria once again. Athanasius left for Upper Egypt, remaining there with the Desert Fathers until Julian's death in 363. Julian terminated his brief career 26 June 363; and Athanasius returned in secret to Alexandria, where he soon received a document from the new emperor, Jovian, reinstating him once more in his episcopal functions. 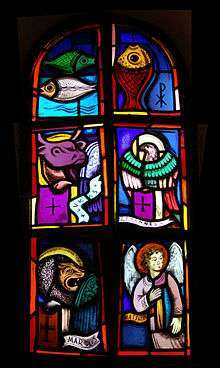 His first act was to convene a council which reaffirmed the terms of the Nicene Creed. Early in September 363 he set out for Antioch on the Orontes, bearing a synodal letter, in which the pronouncements of this council had been embodied. At Antioch he had an interview with the new emperor, who received him graciously and even asked him to prepare an exposition of the orthodox faith. But in the following February Jovian died; and in October, 364, Athanasius was once more an exile. Athanasius also wrote several works of Biblical exegesis, primarily on Old Testament materials. The most important of these is his Epistle to Marcellinus (PG 27:12-45) on how to incorporate Psalm saying into one's spiritual practice. Excerpts remain of his discussions concerning the Book of Genesis, the Song of Solomon, and Psalms. There are several other works ascribed to him, although not necessarily generally accepted as being his own. These include the so-called Athanasian creed, which is today generally seen as being of 5th-century Galician origin, and a complete Expositions on the Psalms (PG 27: 60-545). Pope Damasus I, the Bishop of Rome in 382, promulgated a list of books which contained a New Testament canon identical to that of Athanasius. A synod in Hippo in 393 repeated Athanasius' and Damasus' New Testament list (without the Epistle to the Hebrews), and a synod in Carthage in 397 repeated Athanasius' and Damasus' complete New Testament list. Christian denominations worldwide revere Athanasius as a saint, teacher, and father. They cite his defense of the Christology described in the first chapter of the Gospel of St. John[1:1–4] and his significant theological works (C.S. Lewis calls On the Incarnation of the Word of God a "masterpiece") as evidence of his righteousness. They also emphasize his close relationship with Anthony the Great, the ancient monk who was one of the founders of the Christian monastic movement. Throughout most of his career, Athanasius had many detractors. Classics scholar Timothy Barnes recounts ancient allegations against Athanasius: from defiling an altar, to selling Church grain that had been meant to feed the poor for his own personal gain, and even violence and murder to suppress dissent. Athanasius used "Arian" to describe both followers of Arius, and as a derogatory polemical term for Christians who disagreed with his formulation of the Trinity. 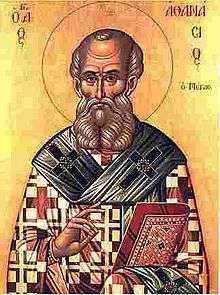 Athanasius called many of his opponents "Arian", except for Miletus. A detailed depiction of Athanasius as a villain is given in the 2016 novel, "The Secular Gospel of Sophia," by Daniel G. Helton. 1 2 "Encyclopædia Britannica". Britannica.com. Retrieved 2012-09-25. 1 2 3 4 5 6 7 Clifford, Cornelius, Catholic Encyclopedia 1930, Volume 2, Pgs: 35–40 "Athanasius". 1 2 3 4 5 6 7 8 9 10 Encyclopedia Americana, vol. 2 Danbury, Connecticut: Grolier Incorporated, 1997. ISBN 0-7172-0129-5. 1 2 3 Butler, Albin, Butler's Lives of The Saints 1860, Volume 1. ↑ Clark, William R. (2007). A History of the Councils of the Church: from the Original Documents, to the close of the Second Council of Nicaea A.D. 787. Wipf and Stock Publishers. p. 47. ISBN 9781556352478. ↑ Davis, Leo Donald (1983). The First Seven Ecumenical Councils (325-787): Their History and Theology. Liturgical Press. p. 82. ISBN 9780814656167. ↑ Graves, Dan. Athanasius Exiled Again Christianity.com. Web. Retrieved 8 March 2016. ↑ Herbermann, Charles, ed. (1913). "Councils of Alexandria". Catholic Encyclopedia. New York: Robert Appleton Company. ↑ "Athanasius of Alexandria: VITA S. ANTONI [Life of St. Antony] (written bwtween 356 and 362)". Fordham University. Retrieved 14 July 2016. ↑ "Metropolitan Bishoy of Damiette". Retrieved 2012-09-25. ↑ "Saint Athanasius". Avarewase.org. Retrieved 2012-09-25. 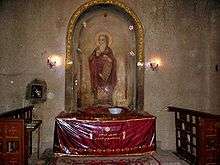 ↑ "The Incorrupt Relics of Saint Athanasios the Great". Johnsanidopoulos.com. Retrieved 2 May 2014. ↑ "Excerpt from Letter 39". Ccel.org. 2005-07-13. Retrieved 2012-09-25. Schaff, Philip (1867). History of the Christian Church: Nicene and Post-Nicene Christianity, AD 311–600. 3rd. Peabody, MA: Hendrickson. Thompson, Robert W. Athanasius. Contra Gentes-De Incarnatione, text and ET (Oxford: Clarendon Press, 1971). Arnold, Duane W.-H., The Early Episcopal Career of Athanasius of Alexandria (Notre Dame, IN: University of Notre Dame, 1991). Pettersen, Alvyn (1995). Athanasius. Harrisburg, PA: Morehouse.